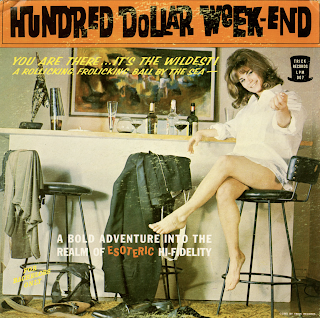 Did the hundred dollar week-end include the room, drinks and food... the paper bag needed to help reduce the chances that the young woman might hyperventilate during all her moaning? These questions remain unanswered as does my search for another post, which if my memory serves me, that features the same recording released under a different title. From the back cover: This array of 6 mambos and 5 bolero selections, designed to give listener or dancer a careful balance of stylings, featuring Jerry Mayeron and his Mamborchestra. Long prominent in the musical realms of Minneapolis and St. Paul, maestro Mayeron and his group are eminently qualified as even the briefest of samplings will testify. Their infectious melodies are sure to set you swaying and rocking to the irresistible bongo beat – and at the same time conjuring up a vision of darkly handsome Latin and skirt swirling senoritas. The Mayeron Mamborchestra is comprised of performers whose backgrounds are as imposing as their music is enjoyable. 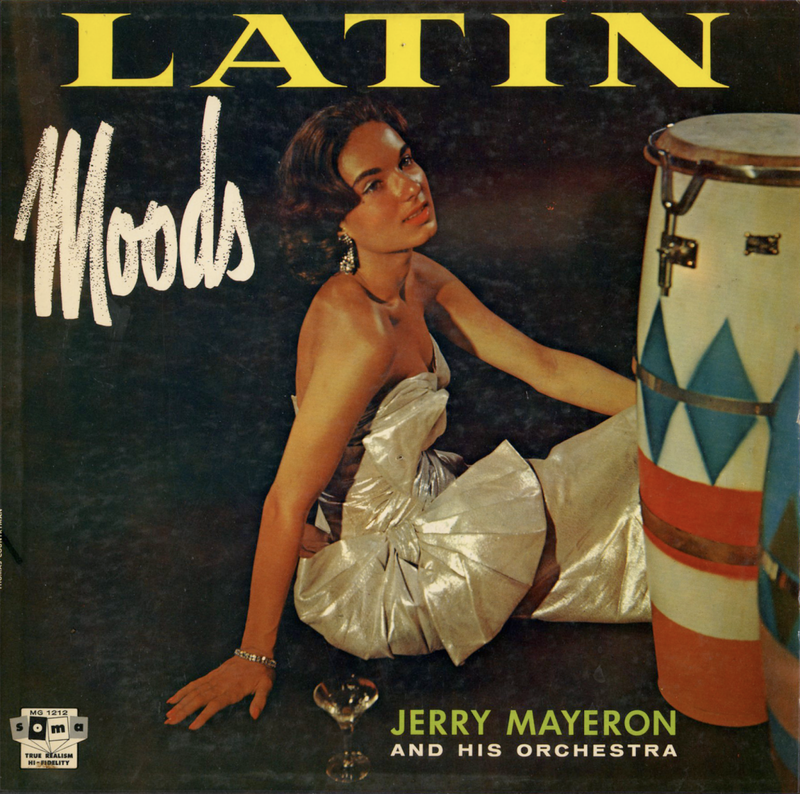 Jerry Mayeron, for a decade and a half, as been a piano stylist of note. Mainstay of the organization's unique personality is Mel Paster, percussionist par excellence. Others include Bibby Bastien on bass, Ronnie Rochat on trumpet, Carl Have on accordion, Buddy Moore on bongo and Don Anderson doubling on sax and harp. Imaginative and distinctive arrangements set this small combo Latin project apart from the competition in what was likely a late 50s pressing, judging by the cover art. 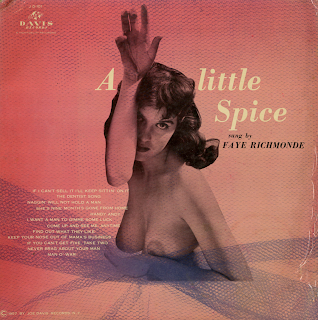 From the back cover: Faye Richmond, is of the new blood. She is a charming person, beautiful, and a delightful singer. Born in a little steel mill town called Homestead, Pa., her ambition from childhood was to become a singer. She broke into show business during the jitterbug era. She entered a dancing contest with her brother and they won the Pennsylvania Tri-State contest. One of the prizes was a two week engagement at a local night club. From Then on they became professionals and toured the country with a band. Her first break came, when the singer with the band became ill and she substituted for her. From then on Faye has been playing night clubs throughout the country. From the back cover: As can be well imagined, by seeing his name, our piano portraitist, Caesar Giovannini, comes from the Latin, too; but he is an American (United States type) by birth – Chicago, Illinois, in 1925. Now since Caesar means Emperor, and Emperor means "in command," the Caesar Giovannini is aptly named. At the piano, Caesar is in command. You but have to witness the despair and admiration on the faces of other pianists when they watch and listen to him play to know the nature of Caesar' Command of the Piano. His talent as a composer shows through his playing, as does, also, his skill as an orchestrator and an arranger. Caesar began his musical training at the age of five and his studies were all pointed towards the concert piano field, but in High School he was introduced to popular music. In spite of the criticism frequently directed at our American popular music, much of this music is very good indeed, and surely plays an important role in our lives. To most of us, its call is strong, and Caesar answered this call with never a regret. During World War II, Caesar was Concert Pianist for the Official U.S. Navy Band in Washington, D.C. and appeared many times with them. In 1947, he received his Bachelors Degree in Piano from the Chicago Conservatory of Music; in 1948, he received his Master's Degree in Composition from this same conservatory. Caesar joined the Chicago N.B.C. Staff orchestra in 1949 and has been there ever since. During his stay there, he has composed many important works for television and radio shows. 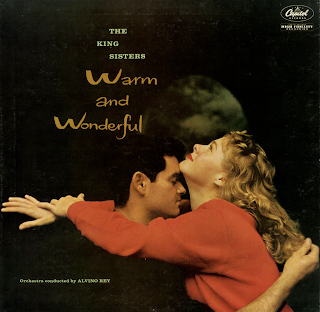 He is, at present, writing and conducting the music for the Kukla, Fran and Ollie Show. 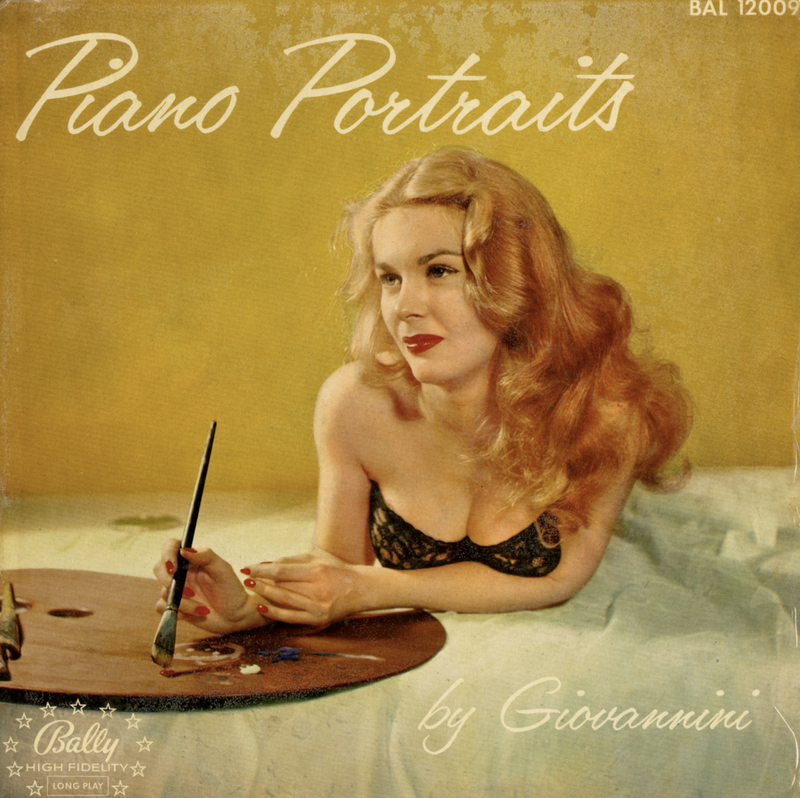 Bally Records believes that in offering this album of "Piano Portraits" it is presenting not only on of the great popular pianists of today, but in addition it is giving much more. Most pianists who are recorded use an accompaniment a String Bass and possibly a Guitar; but backing, or rather siding, Caesar Giovannini are five of the finest Jazz performers in America. 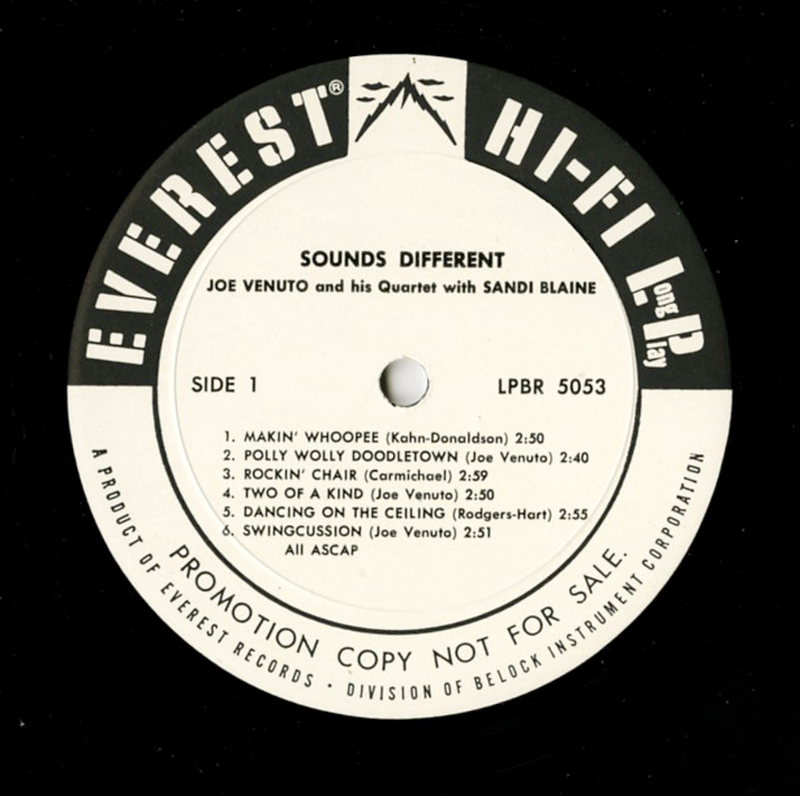 Vibes – Chuck Calzaretta, Solo Guitar – Claude Scheiner, Rhythm Guitar – Freddy Rundquist, Drums – Max Mariash, and String Bass – Lew Skalinder. From Billboard - November 17, 1956: Young Giovannini, who writes and conducts the music for the "Kukla, Fran and Ollie" TV show, turns his attention to the package disk field for the first time with this set of 12 moody standards. The artist hews close to the melody line on the tunes, filling them in with easy-to-take full chords. Backing consists of vibes, two guitars, bass and drums which combine to make an agreeable setting. Whether the artists will manage to set the world on fire is a question, but the red-headed lady on the cover, who has little to do with the material, might easily turn the trick. 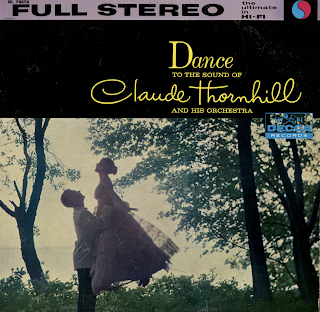 Excerpts from the back cover: Always instantly identifiable and away from the norm, the Thornhill orchestra was first organized in 1940, but the idea for it began to materialize while Claude was staff arranger for Andre Kostelanetz and the Chesterfield radio show in 1937. "To create something new and arresting, an orchestra different than the others on the scene, was my goal." Thornhill told me. "With Kostelanetz and later when writing for the Skinny Ennis band on the Bob Hope radio series, I experimented and came close to the sound that would eventually become identified with me. "The more I thought and worked on my ideas the more convinced I became that I had something a little bit different to contribute. What shaped my thinking and the sound of my orchestra to be? I guess it was a combination of experiences in the jazz and pop fields and the extent of my 'legit' musical background." (Ed. note – Curtis Institute and the Cincinnati Conservatory). 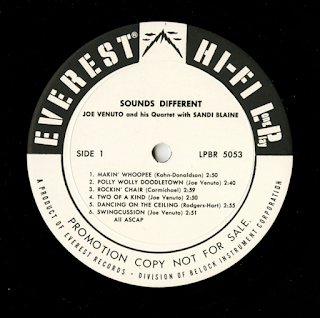 Referring back to the Skinny Ennis days, arranger-composer Gil Evans, long an associate of Thornhill's told Nat Hentoff: "Even then, Claude had a unique way with a dance band. He'd use trombones, for example, with woodwinds in a way that gave them a horn sound." 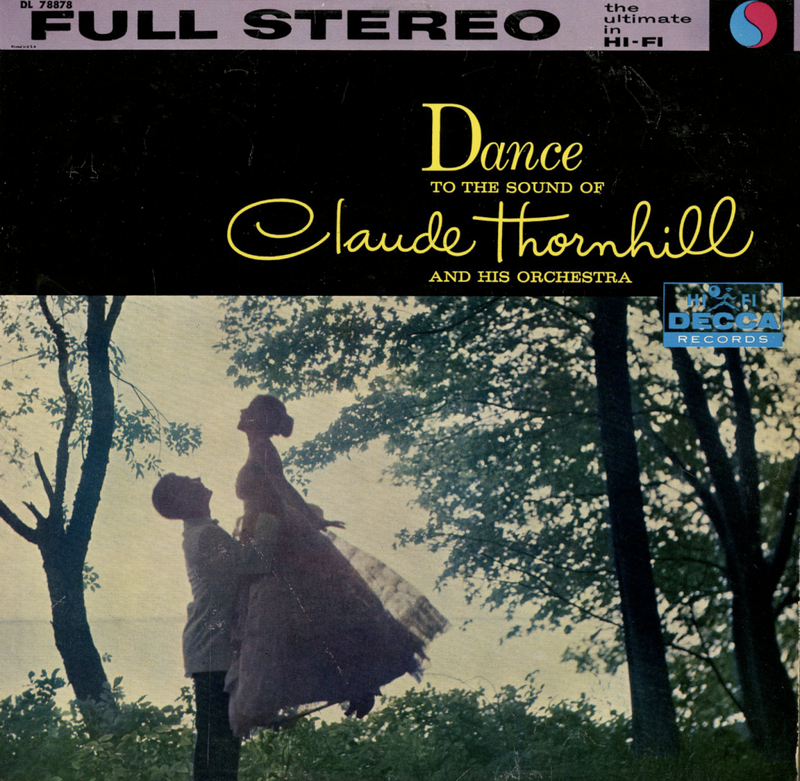 When Claude finally put his first orchestra together in the spring of 1940, and went to work at the Rendezvous Ballroom in Balboa, California, the sound of Thornhill began to develop. "I wrote 60 arrangements to start with," said Thornhill, "We rehearsed every afternoon rain or shine." "With the exception of certain places in our arrangements, the orchestra played without vibrato. Vibrato was used to heighten expressiveness. Even before we added French horns to the band, the feeling and sound were there; the trumpets and trombones, often in hats, imitated the sound, and it did it quite well." Opening for business at Balboa with five brass, six reeds - four saxophones and two clarinets, all the reed men doubled, enabling Claude to obtain a wide range of sounds from this section of the orchestra - and four rhythm, the natural/classical sound of the Thornhill crew impressed dancers and listeners. Before Thornhill enlisted in the Navy in 1942, he wrote or sketched most of the orchestra's arrangements, was its Chief soloist; the organization centered around him. His solo piano work reflected his feelings for dynamics and provided the motion/contrast to the cloud of sound created by the orchestra. And the sound was of utmost importance to him; the majority of the melodies he selected were "slow-moving" and easily tailored to the sound. The spring of 1946 found Claude out of the service and reorganizing his orchestra, an orchestra that would make musical history. Evans rejoined Bill Borden, another ex-Thornhill scripted, was rehired; and a young red-haired saxophonist named Gerry Mulligan began writing about a year later. "The time seemed right for experimentation, though the people around me said that I should stick to romantic, impressionistic music, that extending myself in a new direction was risky. "I went on experimenting anyway," Claude declared. "A tube was added in 1947, filling out the sound even more. Around this time, Gil started rehearsing three flautists who doubled piccolo at his Manhattan apartment. They were hired. Though uncompromising to a great extent, the orchestra could not be completely apart. Bread and butter, supplied by the mass dancing and listening public had to be considered; loss of contact, avoided. In addition business conditions were going from bad to worse. By late 1947, it became obvious to Claude that his organization was swimming against the current. The public was lavishing its affections on singers and small bands; interest in dancing was rapidly becoming a thing of the past. 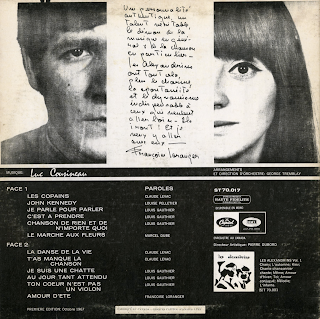 Fran Warren, Thornhill's vocal star, stemmed the tide for a while with her hit records, but it soon became apparent that something had to be done. Late in 1948, Claude dropped a French horn. By the middle of the next year, he had stopped down to basic necessity; the tuba and the flautists had been let go in the economy cut. Only one French horn player was retained. The experimental period in the life of the Thornhill band was over. The memory of the '46-48 Thornhill aggregation is a warm one for many of us. Its influence has been widespread. 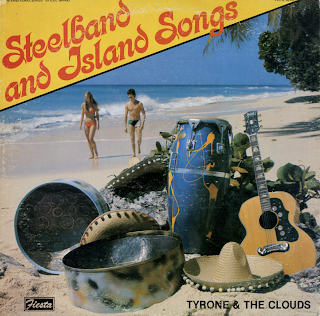 "The sound of the Thornhill band became common property pretty fast," says Gill Evans. The band spoke the language of the modern jazz soloist. Available from the online vendors so I will not be posting a sample. Presented here to share the fabulous original jacket image which isn't included with the downloads. 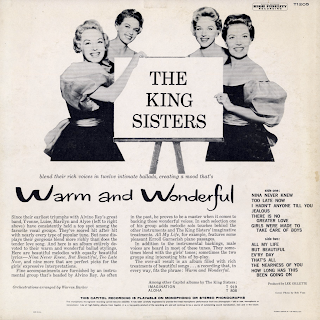 From the back cover: Since their earliest triumphs with Alvino Rey's great band, Yvonne, Luise, Marilyn and Alyce (left to right above) have consistently held a top spot among the favorite vocal groups. 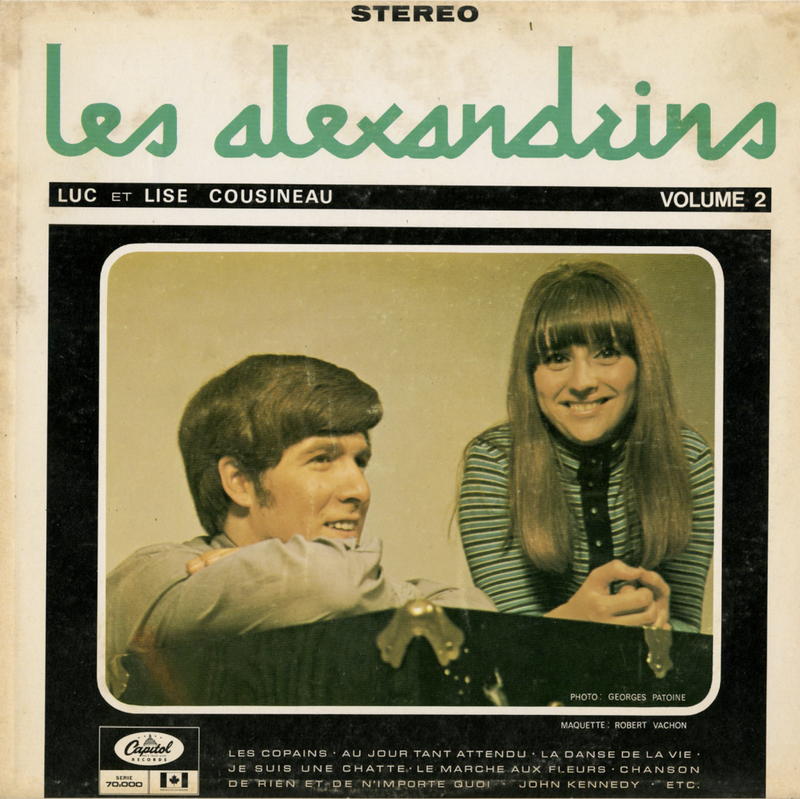 They've scored hit after hit with nearly every type of popular tune. 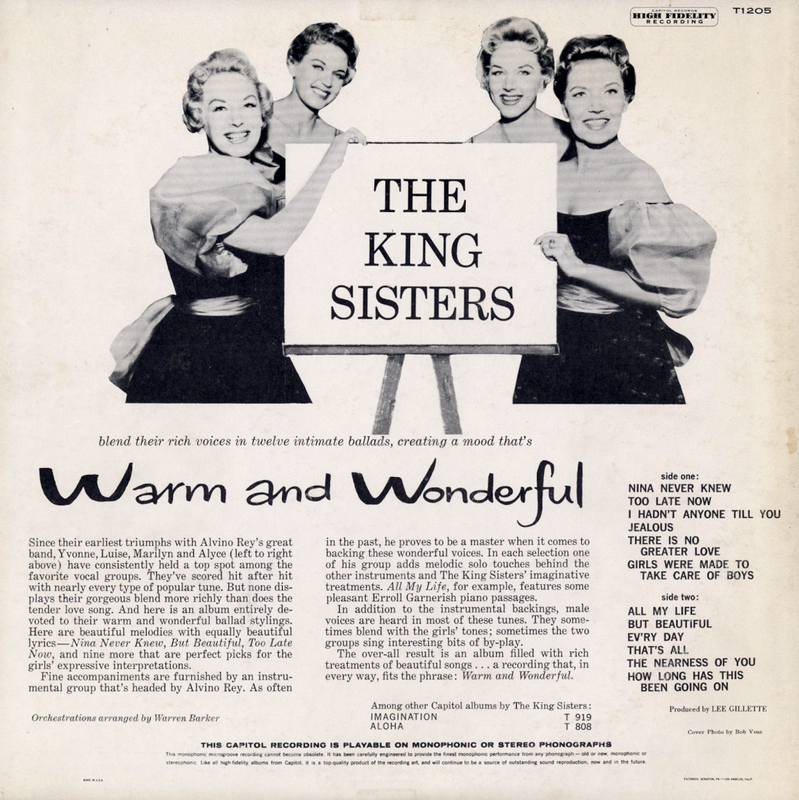 From Billboard - June 15, 1959: The King gals are singing as well as, if not better than, ever on this fine selections of familiar but not overly recorded tunes. They're all ballads. Alvino Rey, as usual handles the backing which consist of a male vocal group as well as the smart band scoring. Plenty of good jock material here. 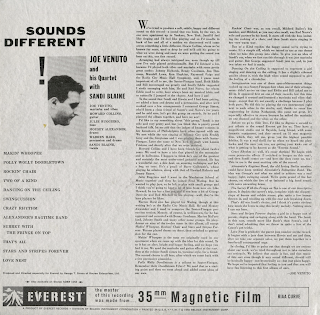 Produced and Directed especially for Everest by George T. Simon of Bouree Enterprises, LTD.
From the back cover: We've tried to produce a soft, subtle, happy and different sound on this record – a sound that was born, by the way, in our own apartment up in Yonkers, New York. Sandi'd feel like singing and I'd feel like playing and so I'd noodle in back of her and all of the sudden we discovered we'd come across something a little different. Howie Collins, whom we've known for years, used to drop by and he'd add his guitar to what we were doing and soon we were getting the sound you hear on this, our first record. Arranging had always intrigued me, even though up till now I've only played professionally. But I'd listened a lot, because I'd played both vibes and marimba with some pretty great outfits: Johnny Richards, Benny Goodman, Jim Timmens, Mudell Lowe, Ken Hopkins, Raymond Paige and the Radio City Music Hall Symphony, and I guess most important of all to me, the Suater-Finegan band. Both Eddie and Bill encouraged me greatly and finally Eddie suggested I study arranging with him. He and Red Norro, for whom Eddie used to write, have always been my musical idols, and so naturally I jumped at the chance. And here I am! From Billboard - February 1, 1960: Here's a delightful package of jazz-flavored standards and originals, featuring tasteful thrushings of Sandi Blaine (Mrs. Venuto) and brightly swinging backing some ace jazz musicians – Mousey Alexander, Warren Hard, Julie Ruggiero, and Howard Collins. 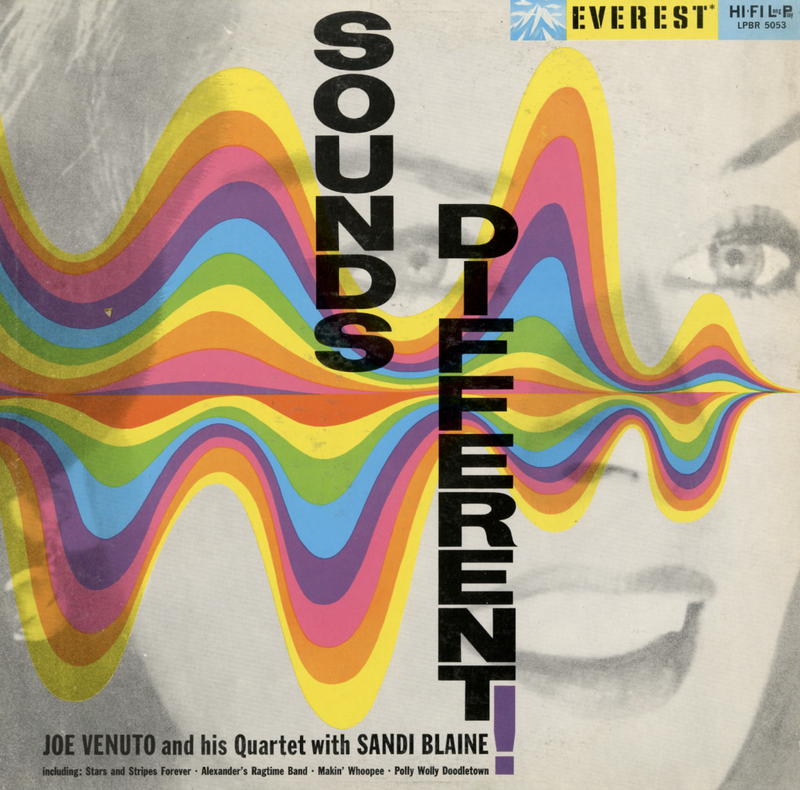 Selections - all spotlighting Everest's fine sound - include "Making Whooppee," " That's All," " Love Nest," "Stars And Stripes Forever," and "Crazy Rhythm.